If you’re hoping to impress this year with the ultimate festive feast, a good food processor could be just the little Christmas helper you’ve been looking for. We’ve put the latest models from the big brands to the test, including Magimix, Kenwood and Cuisinart, to find out which food processors will help you prepare the perfect mince pies and stuffing in time for the holidays. Our tests show you don’t always need to pay a premium for a decent processor, which is good news if you’re on a tight budget. In fact, one cheaper model we tested proved itself to be one of our best ever Best Buys. We also discovered two dreadful food processors that will prove more of a hindrance than a help in the kitchen, despite costing around £100. 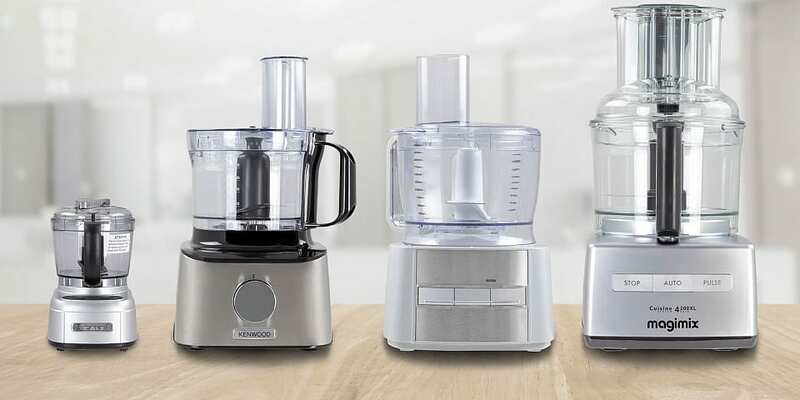 Read on to find out more about some of the new models we’ve tested, and get tips on choosing a food processor. 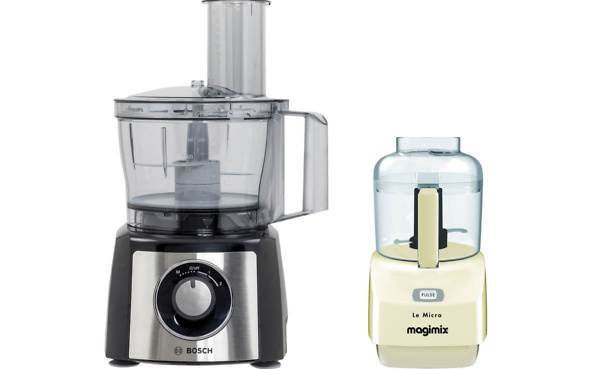 Alternatively, head straight to our food processor reviews to see which models we recommend. Food processor or mini chopper – what’s right for you? Food processors vary considerably in size and price, so make sure you choose the one that’s geared to your needs. We’ve tested a range of models for every size of budget and kitchen, from simple mini choppers starting at £18 to heftier full-sized processors that can do just about any food preparation task you can think of. If you’re short on space or usually cook in smaller quantities, a mini chopper could be all you need. They won’t take up much space in your kitchen, and some are compact enough that you can tuck them away in a cupboard between uses if worktop space is at a premium. They tend to just do the basics – chopping, slicing and puréeing – but are perfect for quickly slicing up a handful of carrots or blending a quick puree. Plus they’re usually quite a bit cheaper than the full-sized models. This stylish mini processor has a relatively modest price of £45 and is just 23cm tall. It has two speed settings and one stainless steel blade that can chop, mix, purée and grind food. It’s great if you want to blitz some nuts or spices, or quickly chop fruit and veg. The 0.9-litre bowl is small compared with full-sized processors, but its tiny size and weight make it perfect for cramped kitchens. It also comes with a five-year guarantee. Find out if this mini processor is tiny yet mighty in the full Cuisinart Mini Prep Pro ECH4U review. While mini choppers can be great value, if you’re a more adventurous chef or often cook for bigger groups, then spending the extra for a full-sized processor could be a better option. The latest food processors come with all sorts of fancy features and attachments. As well as chopping, grating and slicing, you’ll also be able to knead, whisk and whip. Some even come with an additional blender attachment for making soups and smoothies. Plus, the extra capacity means you can whizz through bigger batches in one go. However, they tend to be more expensive than mini choppers and also take up more room, so it’s worth thinking about whether you’ll use one regularly. 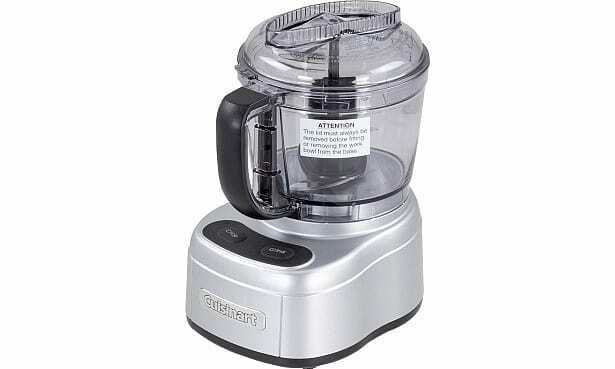 The BlenderMix 4200XL is a bestselling processor from Magimix that’s been around for years. It’s a lot pricier than the Cuisinart, but it can handle much more, too. It comes with a huge array of extra accessories, including a blending attachment and three different-sized processor bowls, which all stack neatly inside each other. There’s also a storage box for the attachments to keep your counter free of clutter. There’s just one autospeed setting and a pulse function for short bursts, so you shouldn’t need to spend hours consulting the manual. Is this classic model the ultimate kitchen helper? 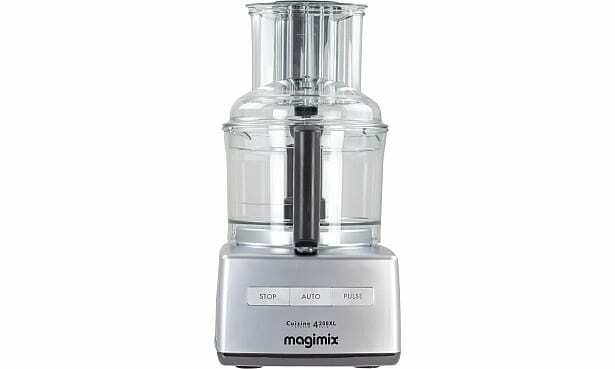 Get our verdict in the Magimix BlenderMix 4200XL review. Half the size, double the capacity? 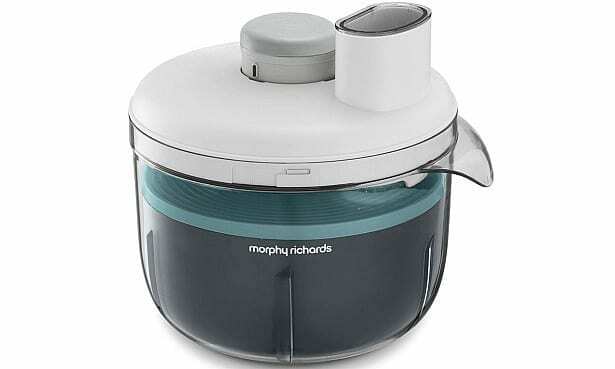 The Morphy Richards PrepStar 401012 is neither a full-sized processor nor a mini chopper. Morphy Richards claims that it’s the answer for those people who like to cook in bigger batches but are short of kitchen space. It has a generous capacity, but its unique design – in which the motor is in the lid, rather than the base – allows it to be take up half the space of a conventional processor. It’s also capable of a lot more than a mini processor, with six attachments to slice, chop, knead, whip, mix, whisk and grate. Can it blitz big batches without taking over your kitchen? Find out in the full Morphy Richards Prep Star review. A good food processor should make your life easier, but we found some models so difficult to assemble that you might want to give up before you’ve even started. Confusing instructions and impractical designs can make attachments difficult or even painful to change, thanks to sharp edges and tricky grips. We also found food processors that fell short when it came to whisking, taking forever to get results and leaving us with lacklustre egg whites. Others struggled with blending, with one leaking so badly we had to stop the test completely. To find out which processors are easy to use and can give you glossy meringues and perfectly smooth soups, as well as evenly chopped carrots – and the poor scorers to avoid – see our food processor reviews. These are the latest models to go through our tough processing tests, which challenge each model to more than 10 different kitchen tasks, and rate each model for ease of use, cleaning and noise. To see the individual reviews, click on the links below, or head straight to our round-up of the best food processors. Looking for a mixer for baking? See our stand mixer reviews.